Need more practice? 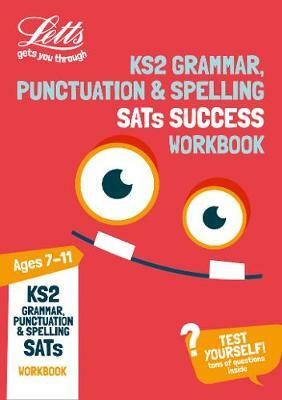 This Letts KS2 English Grammar, Punctuation and Spelling SATs Practice Workbook will help your pupils do their very best. Get practising with tons of Key Stage 2 English SATs questions like the ones on the test and pick up top tips along the way. This workbook has been made ready for the 2019 tests, so your children can be too! Our KS2 English Grammar, Punctuation and Spelling SATs Revision Guide (9781844199259) is also available for more SATs success.